LIGHT INTO DARK Now on CD! 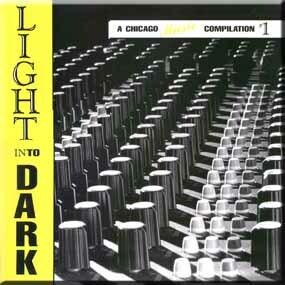 The original LIGHT INTO DARK vinyl records and cassettes are no longer sold through Halo Records. A limited number (under 50) of the original vinyl records - still sealed and totally mint - are available through EIL or The Girl Media Shoppe. The original LID cassette sampler is also available by exclusive arrangement with The Girl Media Shoppe. If you are interested in the original LIGHT INTO DARK vinyl record or a limited edition Bob Masse Smashing Pumpkins Poster, click here to visit The Girl Media Shoppe.